No code needed. 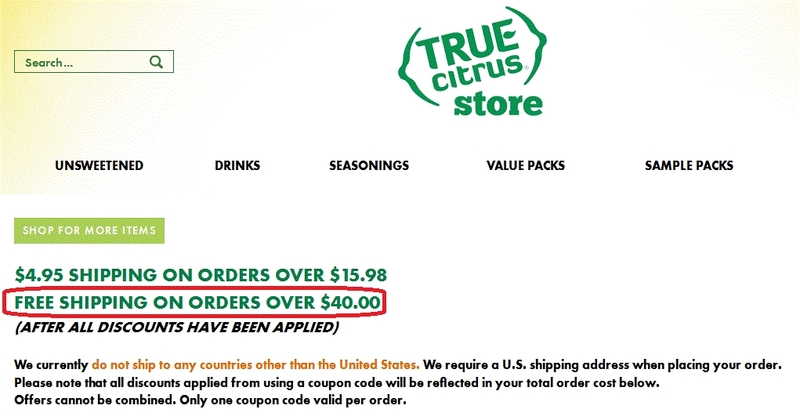 Click the button to redeem your discount at truelemonstore.com. Carlos Torres Receive free shipping with your $40 purchase. Orders are processed within 48 hours Monday through Friday. Some methods may not be applicable to your shipping area. U.S. shipping only.